Building a basic home gym doesn’t have to be expensive! A few years ago I decided that I wanted to build a home gym in one of our extra bedrooms, so that I could stop paying my high monthly fees to the gym we belonged to, and just start working out at home. I wasn’t sure how expensive it was going to be, but after all was said and done we had probably spent almost $1000 for a treadmill, dumbbells, weight rack, weight bench, TV and mount, exercise videos and more. Looking back I now realize that we could have gotten much the same value for a lot less money. If I were going to do it over, I am sure we could get everything we need for less than $150. Here is how I would do it. 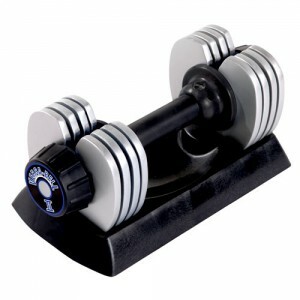 Dumbbells: I would buy a set of dumbbells for weight training that range in weight from 10-40 lbs or more. I bought individual weights, but probably a more frugal way to do this might have been for me to buy an adjustable weight set. I have seen a 40 lb weight set at my local Wal-Mart that adjusts from 5lbs all the way up to 40 lbs. It is similar to this one found at Wal-Mart.com ($150), but it wasn’t as nice or fancy. It cost about $65-70. Or if you want a fancier set, keep an eye out on Craigslist.com for a set at a greatly reduced rate. 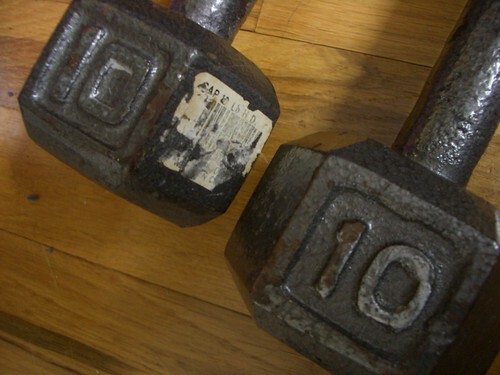 Craigslist is your friend when trying to find expensive workout equipment, you can find things for pennies on the dollar! 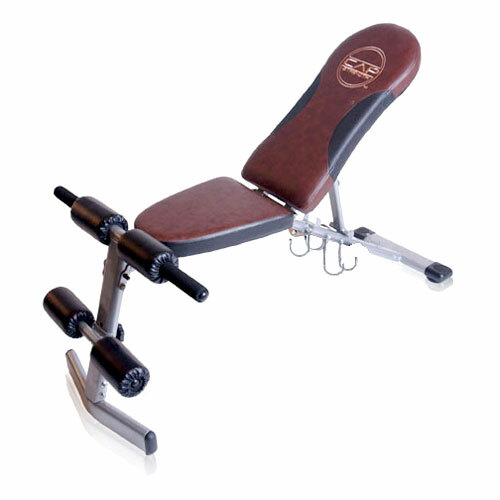 Weight Bench: Buy yourself a weight bench. Having one of these makes it a lot easier to exercise and get the most out of your workouts. I bought a cheaper bench that has worked just fine for about 4-5 years for $50 at a local sports store. If you look you can also find one with a built in weight rack to save you some money on a rack. 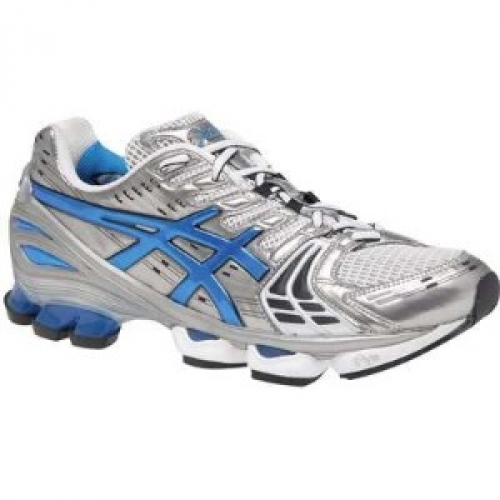 Shoes: Buy yourself a decent pair of running shoes if you don’t already have some. After you’ve been running for a couple of weeks you’ll be glad you’ve got some good shoes. You don’t have to buy an expensive pair to get a good value. I buy my shoes on sale at a local kohl’s, and can usually get them for $30-40. So for around $150, you can get everything that you need to get started working out. You can obviously get fancier equipment, and spend a whole lot more money, but in my opinion you won’t get results that are any better. After getting the equipment you’ll need a plan for working out. 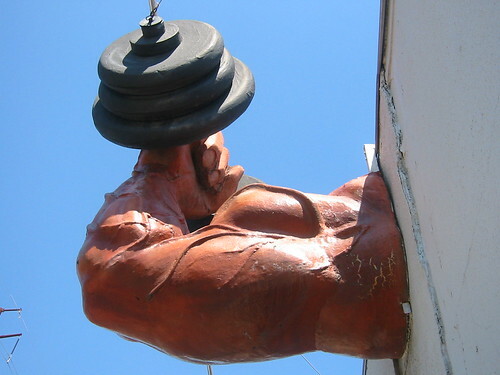 There are a ton of free resources all over the web designed to help you in getting fit. I would suggest reading up on a bunch of them and finding one plan that you think will fit your lifestyle. 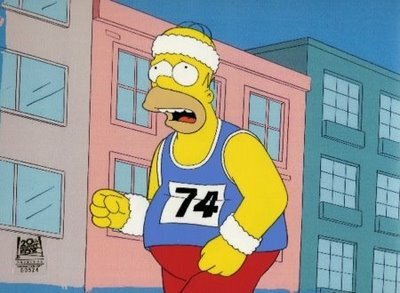 Exercise more (6 days a week, with one rest day). Through the plan I’m eating leaner foods, more vegetables, and eating smaller portions more often during the day. I end up eating about 6 times a day. Day 1: Aerobic exercise, usually in the form of running, a workout video (The Biggest Loser Workout is a good one), or riding my mountain bike. Day 2: Upper body weight lifting using the dumbbells and weight bench. I’ll do pecs, shoulders, back, biceps, triceps and stomach. All these exercises can be done using your cheapo dumbbells. Day 4: Lower body weight training using the dumbbells, and your own body weight. Day 6: Upper body weight training, same as day two, but possibly doing different exercises. Right now I’m also doing the 100 Pushup Challenge to augment my other exercise. So far so good on that front, but it’s only going to get harder from here on out. You can follow my progress on both the fitness front, and the pushup challenege right here. Good luck on your plan, and I hope you stay tuned for my own progress updates. Saturday was day 3 of week 1 for my 100 pushup challenge. I didn’t get to my pushups yesterday because I was entertaining, and people showed up early. So I performed my pushups this morning. Day three was a bit harder than day 2. Once again the reps on each set of pushups was slightly more than the day before. Since I was in the second column, the sets went from 10 pushups, two sets of 8, to 5, and then a max set where you do as many as you can. I was feeling a bit stronger this day, and though it was tough, I was able to get through the sets doing 10-8-8-5-13. My set of 13 at the end was the most I’ve done so far. Not exactly impressive, but I was happy with it. Here is my progress so far in chart form. As you can see the amount of pushups is going up, ever so slightly, ever day. Next week, the pushups increase. I hope I can keep up! Wednesday was day 2 of week 1 for me in the 100 pushup challenge. Tonight I’ll be performing the day 3 routine. But first, how did day two go? 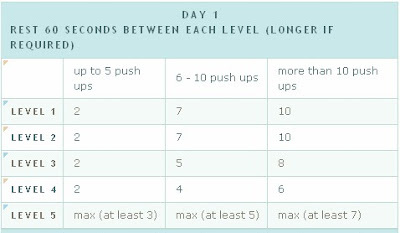 Day two was similar to day one, but the reps for the number of pushups you performed were slightly increased. If you wanted the rest period was also increased. On day 1 I was able to complete the reps without too much problem. Day two was a bit more difficult due to the fact that I was a little bit sore from day one, but I completed the reps again without too much problem. They went as follows: 9-8-6-5-11. Once again as before the last set of at least 7 was a struggle all the way, but I pushed myself. Day three promises to be the hardest one yet. Stay tuned!